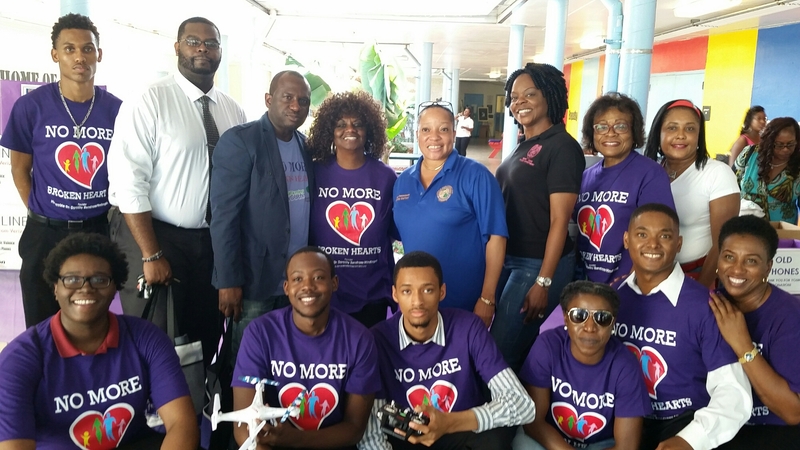 School Board Member Dr. Dorothy Bendross-Mindingall (D-2) hosted another successful No More Broken Hearts Domestic Violence Workshop today at Georgia Jones-Ayers Middle School. Thanks to our MC Benjamin Evans, Moderator Director Lucia Davis-Raiford, Panelists: Judge Rodney Smith, Chief Therese Homer, Ms. Belkis Amaroa, Ms. Venus Miller, Mr. Desmond Daniels, and Cassandra Armstrong; Youth Presenters: Jonathan Spikes Foundation/Affirming YOUth (Signature Sponsor) and Urgent, Inc.; Performers: Miami Northwestern PAVAC, Denisia Purcell, Madame Butterfly Vaughns, and Jon Kelly; our wonderful sponsors, tremendous supporters, dynamic volunteers, over 30 community organizations, and the hardest working Planning Committee ever! Special thanks to our hosts at Georgia Jones-Ayers Middle School – Principal Bernard Edwards, AP Earl Allick, custodians, security, teachers, and staff. Our event could not have been a success without each and every one of you! Let us ensure that we work together to End domestic violence once and for all. Posted on February 26, 2017 by District 2 MDCPSPosted in Community EventsTagged #NoMoreBrokenHearts #LoveIsNotAContactSport #StopDomesticViolence #YouAreNotAlone.